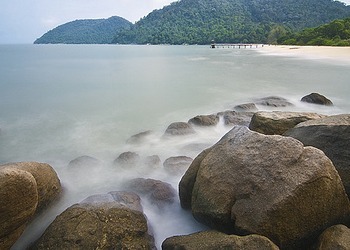 Teluk Bahang Beach is known as the Bay of Embers. 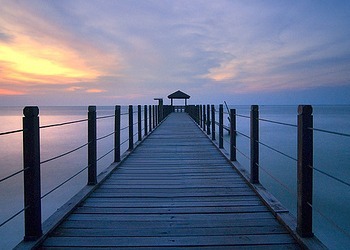 It is located in Tanjung Tokong, Teluk Bahang. 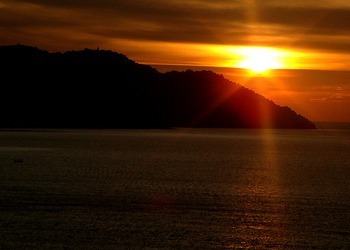 It is situated at the west, around 5km after Batu Feringghi, another popular beach. Teluk Bahang is once a quiet, isolated fishing village. Its beach is idyllic with white fine sand and cool water. These features are what attract tourists from all different countries. 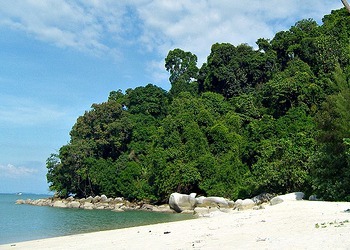 The beach offers more green compared to other beaches in Penang. It possesses a serenity environment. 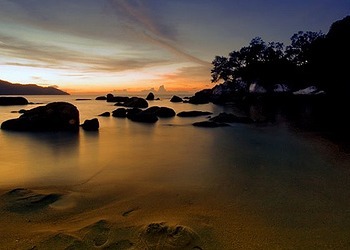 Sitting by the beach, waiting for the sun to set is the best thing to do at Teluk Bahang Beach. However, it is not suitable to swim at the sea of this very beach due to the presence of jellyfishes. 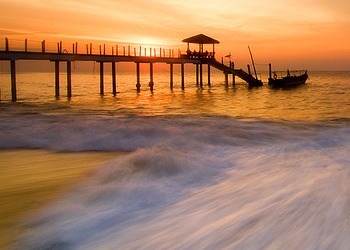 Apart from the amazing beach, there are more attractions in Teluk Bahang. They are Tropical Spice Garden, Penang National Park,Batik Factory, Penang Forestry Museum and Penang Butterfly Farm. Penang Butterfly Farm features insects and plants, not to mention the various species of butterflies. You can stay in Batu Feringghi Hotel if you plan to visit Teluk Bahang Beach as a one day trip. To get to Teluk Bahang from Penang Airport (Bayan Lepas International Airport), you can take a cab which costs around RM80.00. You need to get the voucher at the taxi counter right after you wait for your luggage and present the voucher to the allocated taxi driver. From Georgetown, take the Komtar Bus 93, Transitlink 202 to go to Teluk Bahang.